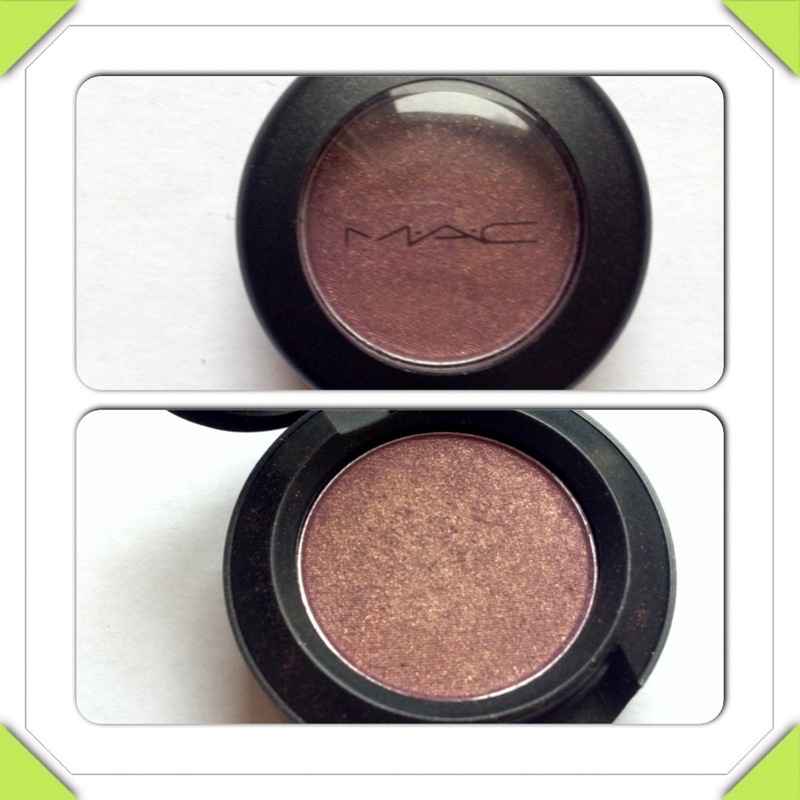 MAC eyeshadow in Trax is a “highly pigmented powder. It applies evenly, an blends well” according to MAC Cosmetics. Upon opening this eyeshadow, I was really impressed with the colour. It is a plum and red colour with gold flecks throughout, and has a gold undertone. I love the packaging of MAC, it is always black and professional looking, and with reasonable sizes! Taking a swatch of this product however, really didn’t impress me as much. It took a few layers to build up pigment and to see its true colours. I found it a bit weak and diluted, so was kind of put off as the colour payout wasn’t as pigmented as the website described. 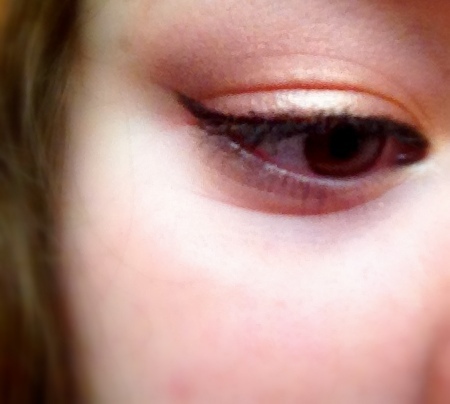 Applied to the eyes in the crease over a gold eyeshadow however, it proved it’s job! 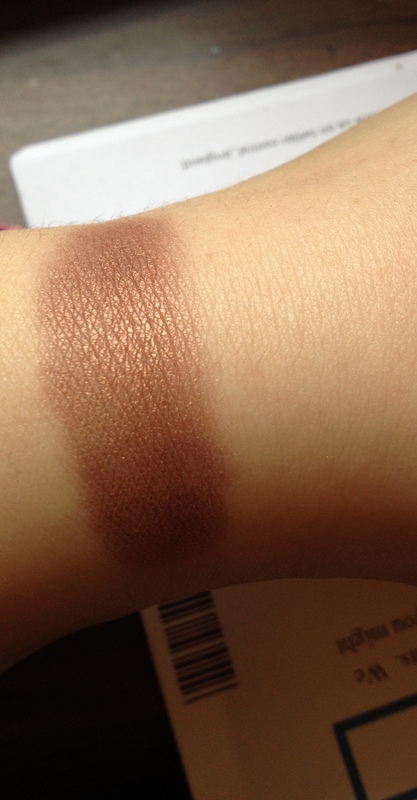 Once packed on and blened, it works really well as a transition between colours at the crease. The colour payout is really good once mixed with other colours, and really suits an Autumn look! The gold flecks and undertone are a pretty way to make your make up look more christmassy, and the reddish purple colour creates a nice deep look for this season. My overall opinion of this product is mixed. I can think of plenty cheaper eyeshadows with better colour payoff, and that are just as pretty. It is MAC standard, and is very good once blended an worked with properly, but you do have to keep layering! For £12.50 at maccosmetics.co.uk it is a lot for an okay eyeshadow, but if you really love MAC, go for it! I will 🙂 if you want you can pick one. I have Malt, Jest, Quarry, Yoghurt, Naked Lunch and Woodwinked. Naked lunch please! Really want that shadow! This is my favorite eye shadow!